Hip-hop is a young mans game that feels even younger and more exclusive to children of the golden era with each passing year. Its a cold harsh truth, so the fact that De La Soul are still travelling the globe giving their unwavering faithful something to believe in some 20 years removed from their "Daisy Age beginnings is enough to bring a pang of respect to the hearts of any self-respecting hip-hop head. The capacity crowd that made it out to the newly renovated Sound Academy (formerly the Docks) on a bitterly cold January night was proof of Torontos love for the hip-hop elder statesmen, but before getting to the main course, fans got a taste of local 12-piece rap-rock troupe Down With Webster as unlikely openers. 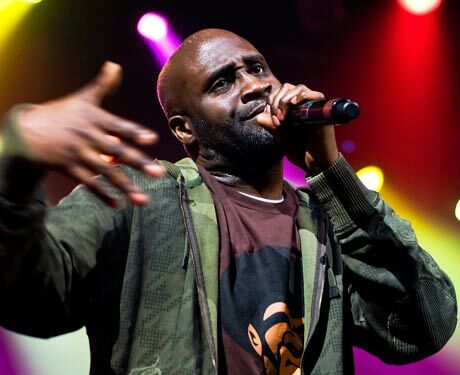 Citing everything from Rocky and Pharoahe Monch to rock and rave culture as sonic and visual reference points, the crews four-mic crew pushed the pace high, backed by multiple guitars, drums, keys, a full horn section and requisite DJ, earning a decidedly mixed response from the anxious crowd. Then it was on to the three Plugs from Long Island, led by ultimate hype man Maseo, who managed to inject the biggest energy burst of the three as the most animated "DJ in the game. De Las veteran performer status was evident throughout the relatively short set, as the trio  with no real new material to showcase  fell back on a timeless catalogue that would make for a dope show regardless of the selection. Some well choreographed antics and intros on cuts like "Rock Cocaine Flow, "Ego Trippin and "Dinninit kept things fresh, and while there were a few clear autopilot moments, the simple joy these three men exude at still being on stage after all these years is what made this (and makes every) De La show a sure bet.